In this apartment design and functionality are excellent. 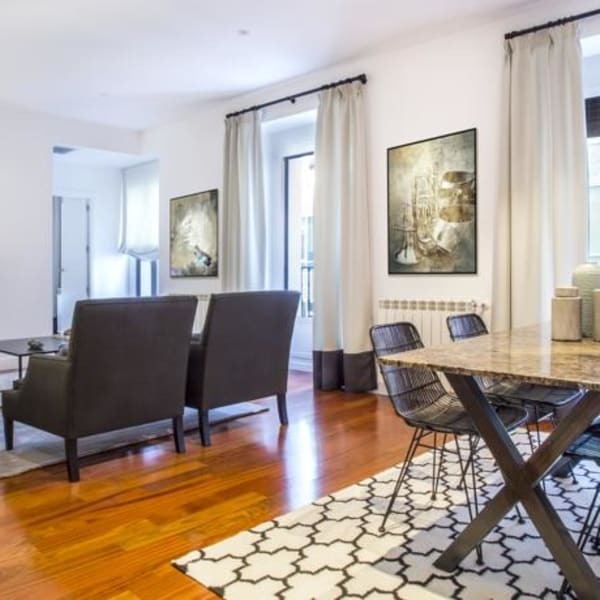 2 bedrooms with single beds and 2 bathrooms make it a true luxury in the heart of Madrid. Its views of the Calle Augusto Figueroa from the balconies are, without doubt, enviable. All the rooms are fully equipped and have a large living-dining room with 1 double sofa bed perfect to relax after a day of sightseeing. 4 Person(en) sehen sich gerade dieses Inserat an! The building is situated in the center of the Madrid´s gay district of Chueca.